Graphics can be a powerful tool to enhance the experience design within a specific environment. 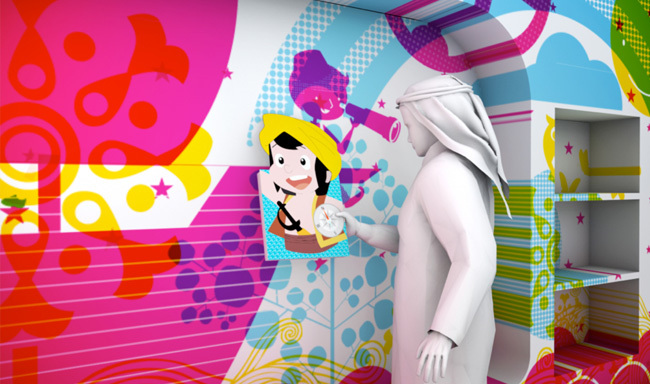 As part of a proposed design for the Children’s Library at iThra, the King Abdulaziz Center for world culture in Saudi Arabia, Tarek Atrissi Design developed the environmental graphics within the Library’s space. 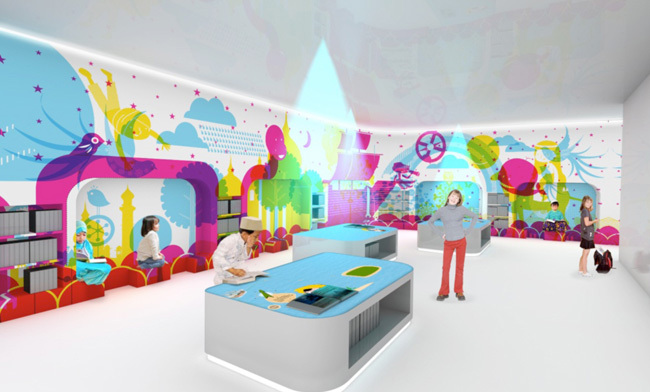 The graphics consisted of illustrations superimposed on the entire walls of the library. The drawings on the walls are made in 3 colours which overlap. This provides a rich, intricate and engaging atmosphere to the library, and invites the children to explore the characters, scenes and species drawn on the walls. Another secret is uncovered, when the children use colour-filtered glasses, and then they can see one scene at a time depending on the filtered glasses they are seeing. 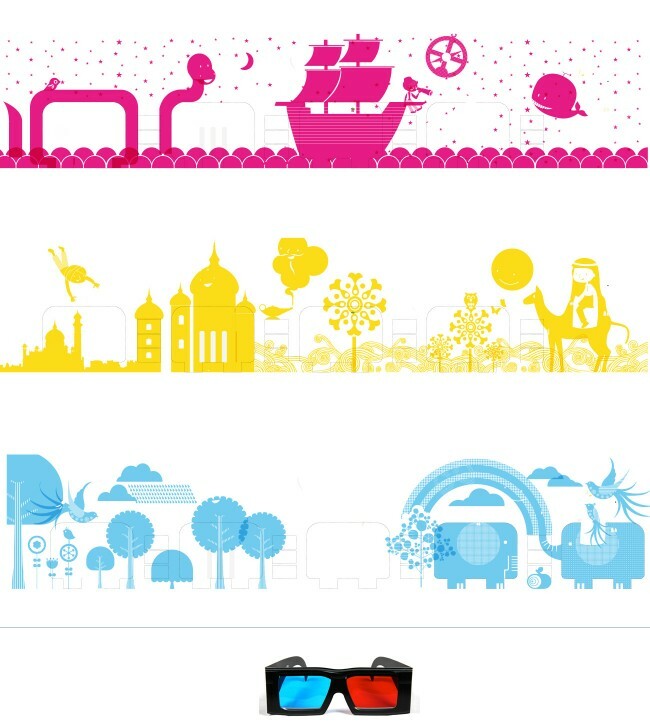 These colour filters are part of the books’ jackets, so the reader can see the wall drawings that relate to the content of the book. In other words, it is like seeing the world through the eyes of the book! 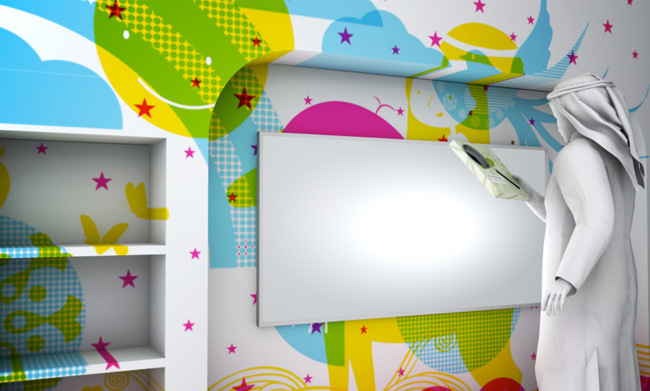 The design provided a rich and colorful environment that is attractive for children, and that opens the possibilities for seeing and engaging with the graphics in dynamic way.